Musicians still making names for themselves regularly play gigs at smaller venues in KC, where crowds can get up close and personal with future megastars. Who knows, if you stick around after the show, you might even get to talk to the band. Catch roots-inspired music at Westport Saloon and grab a whiskey or bourbon while you’re at it. Riot Room, also in Westport, packs the house for shows featuring punk bands, DJs, indie rock and other underground acts. 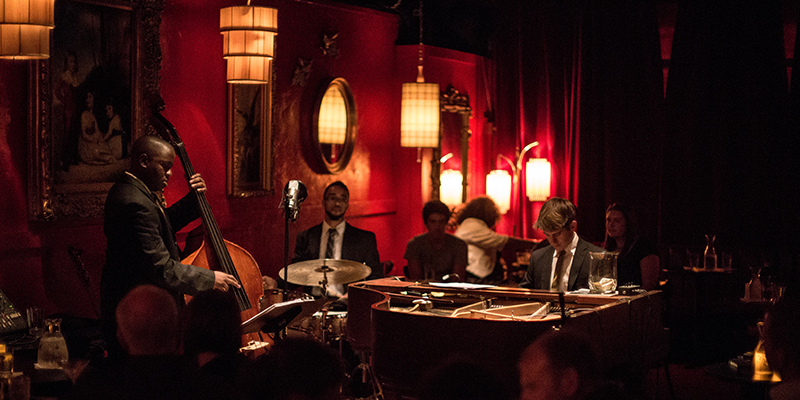 In the Crossroads Arts District you’ll find Green Lady Lounge, where live jazz and no cover create a catchy tune everyone can hum along to. Need more of KC’s signature sound? 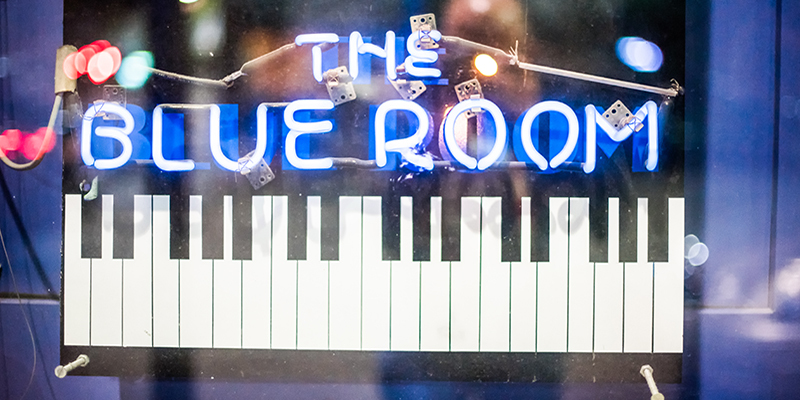 On 18th & Vine—KC’s historic jazz district—you’ll find just that at The Blue Room. If you're looking to get even more underground, check out Sofar Sounds, an intimate showcase for local artists that takes place in secret locations throughout the city. 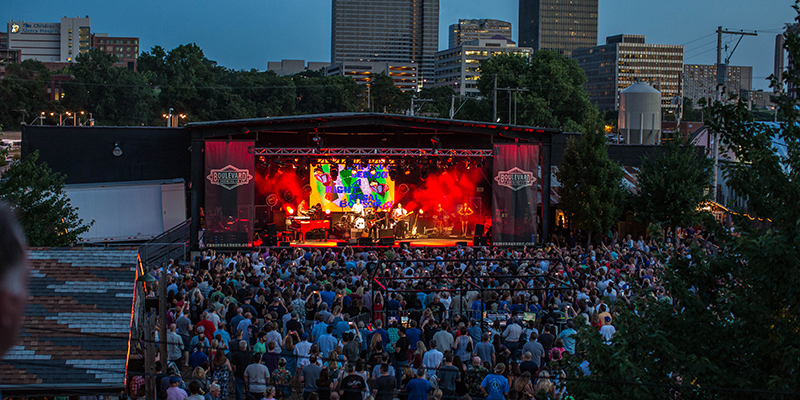 Many of the hottest bands and musicians that come through Kansas City find their groove in a multitude of midsize venues. 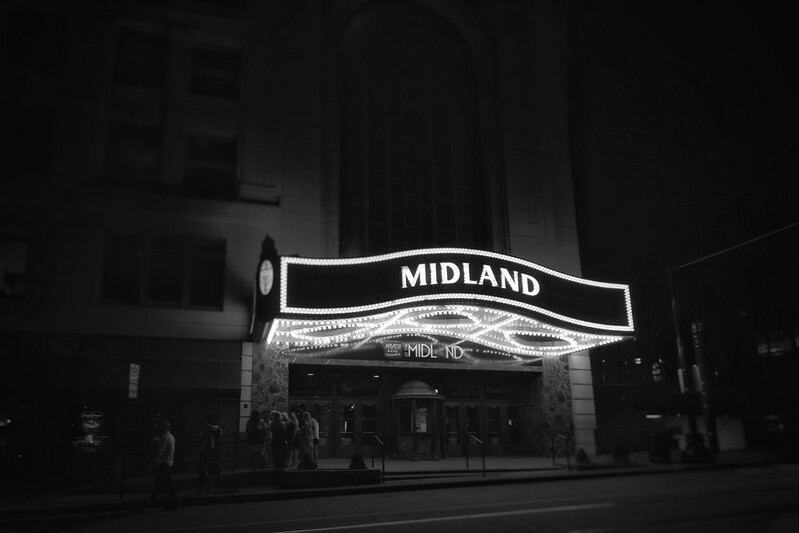 Often these are the most beloved sites of all, such as Arvest Bank Theatre at The Midland, a state-of-the-art, multi-floor icon located in the Power & Light District. Only a few blocks away you’ll find a different sort of sound at Howl at the Moon, a piano bar known for high-energy covers of all-time greatest hits. See some of your favorite artists play at both recordBar in the Crossroads and Madrid Theatre, a renovated Midtown movie house originally constructed in 1926. 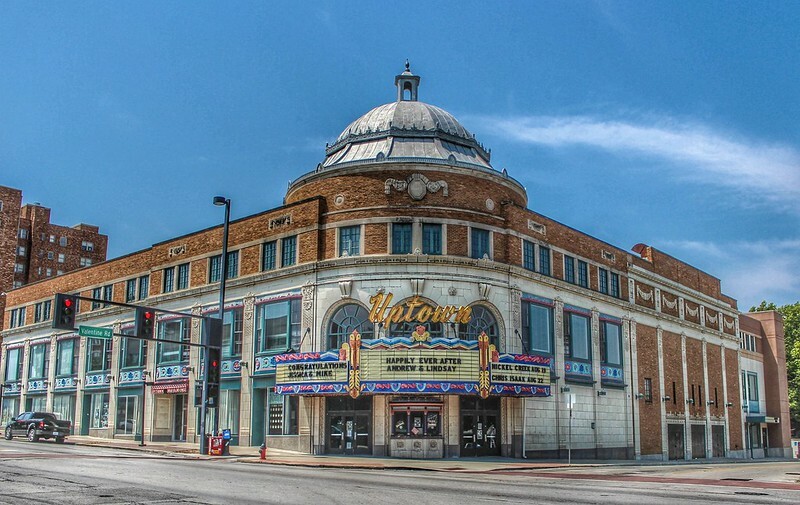 Opened just two years later, the Uptown Theater in Westport features an eclectic mix of performances, where any given night you can catch a rap show, popular indie band or country star on tour. Meanwhile, Star Pavilion in Ameristar Kansas City is the place to be for classic concert throwbacks. There’s nothing quite like seeing a show underneath the starry night sky. KC obliges. Crossroads KC attracts large crowds during warmer months and is one of the hottest spots during summer First Fridays. 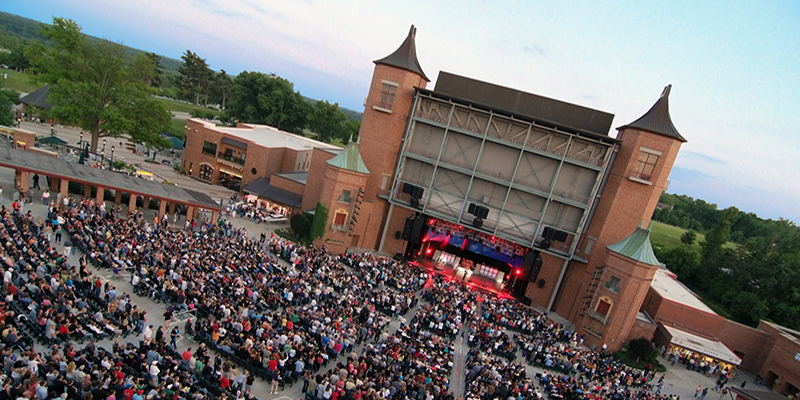 Make your way out west to catch a performance at Providence Medical Amphitheater, an open-air venue that touts a pit, bleachers and grass lawn for all kinds of viewing. 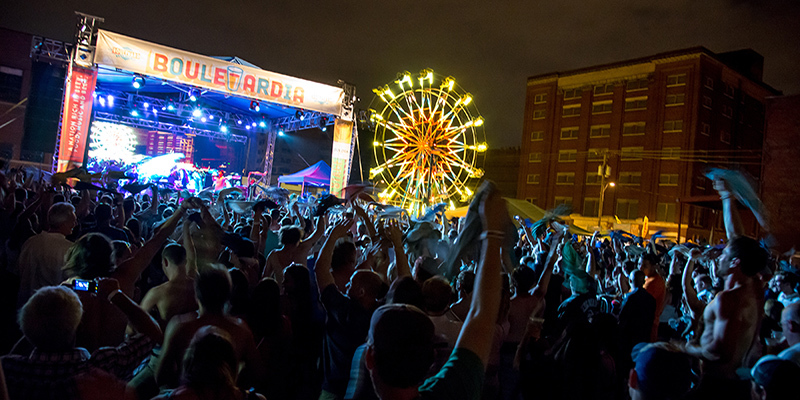 Count on memorable summer performances at Boulevardia in the West Bottoms. 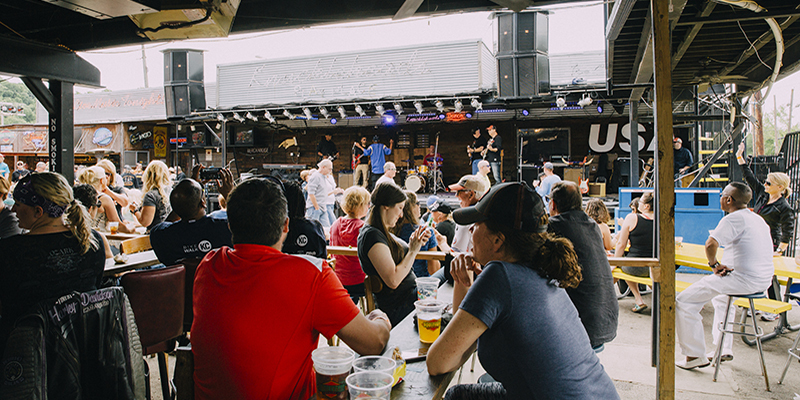 Travel down to the East Bottoms for a night out at Knuckleheads Saloon, a sprawling facility that regularly showcases rough and tumble country acts, gritty local groups, blues legends and everything else in between. In the Power & Light District, there's KC Live! Block, home to Hot Country Nights and countless other sellout showcases. Then there’s Starlight Theatre, a one-of-a-kind setting in Swope Park that was originally constructed in 1951 as an outdoor playhouse—and still hosts Broadway musicals in between stellar concerts. Don’t forget Children’s Mercy Park, home to Buzz Beach Ball, 96.5 The Buzz’s sprawling two-day music festival featuring some of the hottest alternative artists in the world. 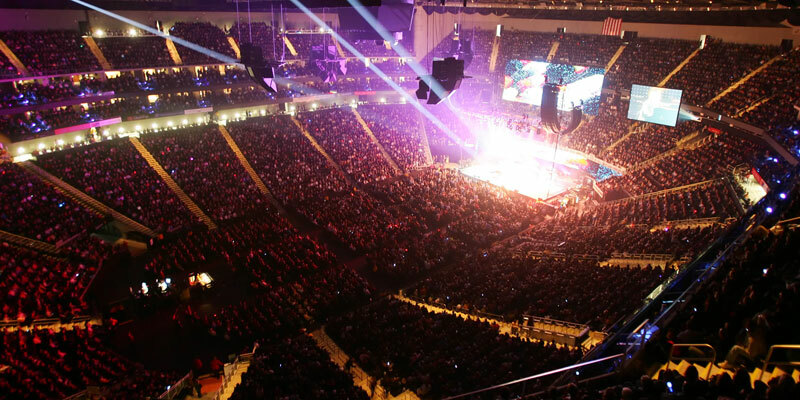 No live music breakdown would be complete without Sprint Center, the fourth-busiest arena in the country—and one that continues to innovate and improve its already-incredible amenities. The facility has welcomed hugely influential artists with international popularity such as Bruno Mars, Selena Gomez, Garth Brooks, Ariana Grande and Elton John, among many others. There’s also Arrowhead Stadium, home to the Kansas City Chiefs in fall and winter but also a haven for monster summer shows with artists like Kenny Chesney, Taylor Swift and Guns ‘N’ Roses bringing the house down time after time. West of the border you’ll find rock and country concerts at Kansas Speedway, as well as popular music festivals that draw thousands, such as Rockfest. For a full calendar of current and upcoming live music events, go to Who's Live Today.